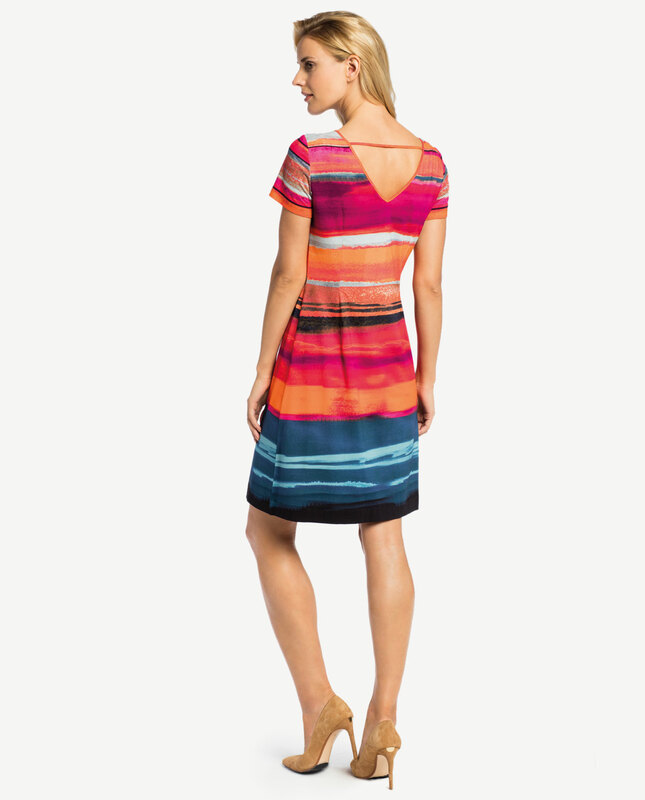 Colourful trapezoid dress with a V-neck at the back. This simple style and dashing colour palette is a perfect match when it comes to looks for a party or an evening-out. This versatile garment will become indispensable in your wardrobe. A fitted style accentuates your silhouette, and the dashing neckline will flatter your sun-kissed back. Dresses, a most female element of your wardrobe, will make you feel confident and an amazing appearance. 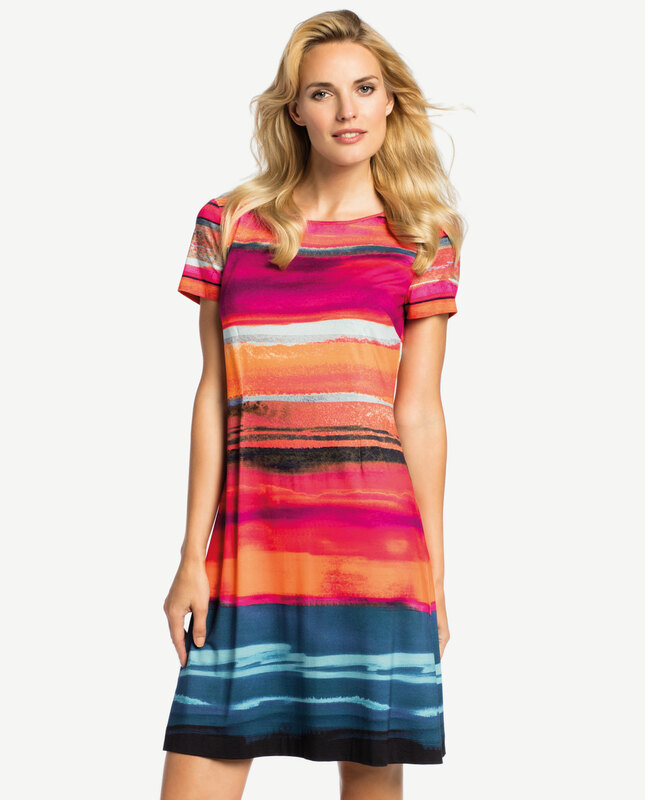 This dress is made from high quality soft fabric which is comfortable to wear.